If you expected Mazda to create the 2019 Mazda3 and offer you the same price as you had for the previous models, you’d be kidding yourself. The new build of the Mazda3 for 2019 is offered with a significant increase in price but that price isn’t out of range and it’s worth the upgrades that you’ll have in this amazing car. There will be one engine offered for this car which is a 2.5-liter SkyActiv-G four-cylinder engine that makes 186 horsepower and 186 lb.-ft. of torque for the driving experience you want. While we wait for the arrival of the new SkyActiv-X engine to show up, we can take a look at what the current version of this car offers and how it will give us the qualities we want for the drive. Right now we have a new trim naming system for this Mazda which is base, Select, Preferred, and Premium trim levels. This car is offered in both hatchback and sedan body styles to give you the feeling you want when you get behind the wheel and take this car for a drive. Let’s take a look at each of these trims. The basic model of the Mazda3 continues to be a pretty basic model, but that’s ok. This is the trim level where you start and it will give you 16-inch wheels, cloth seats, and an 8.8-inch infotainment screen for the connectivity you’re looking for. This model is offered in only the sedan body style. This trim is offered in both body styles and it’s the base model for the hatchback. With the Select trim, you’ll have Apple CarPlay, Android Auto, leatherette upholstery, automatic dual-zone climate controls, keyless entry, push-button starting, i-Activsense active safety features, and 18-inch wheels. At this trim level, you can see that you have a lot more items to enjoy when you take it for a drive. Also offered with both body styles, the Preferred trim only offers you a few upgrades over the Select model. You’ll have the wonderful sounds that come out of the 12-speaker Bose audio system, enjoy the easy movement of the power-adjustable driver’s seat, and get your backside warm on the heated front seats that are part of this impressive trim level. 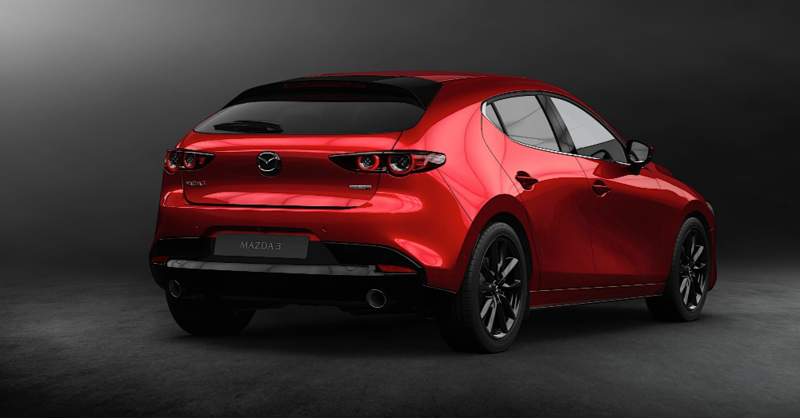 Choose the Premium trim of the Mazda3 and you’ll feel like you’ve got a luxury car to drive. This trim brings you a head-up display, real leather seats, LED headlights and taillights, and a sunroof. When you want all of the possible items for your drive, this is the right one for you to choose. The new 2019 Mazda3 goes on sale in March and the only stand-alone options that you can choose comes in the form of the three additional paint colors that are offered. Visit your nearby Mazda dealer and figure out which version of this car is right for you. Find yours today at your local Mazda dealer!